When’s My Birthday? is a celebration of the one day each year that kids look forward to with eager anticipation: their birthday. Julie Fogliano's words are lovely and exuberant and Christian Robinson's work is, as always, an absolute delight. His work evokes the irrepressible joy of childhood: its fun, laughter and effervescence. 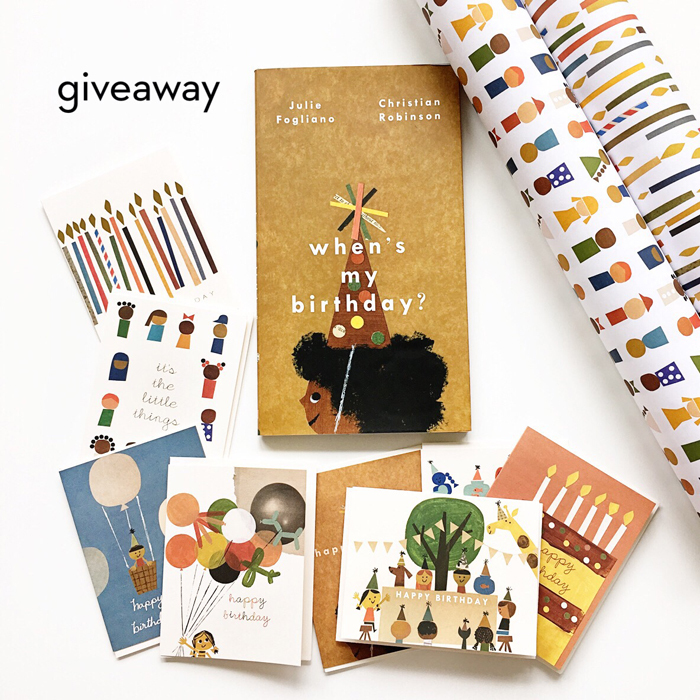 We’re partnering with Red Cap Cards and Macmillan Children's Books to give away an assorted set of 24 birthday cards and 2 rolls of gift wrap featuring new designs by Christian Robinson, along with a copy of the newly released book When’s My Birthday? This giveaway is open to US residents and ends Sunday, September 24, at 11:59 PM PDT. Head over to this Instagram post to enter.